Spout Projection: 7 1/2 in. 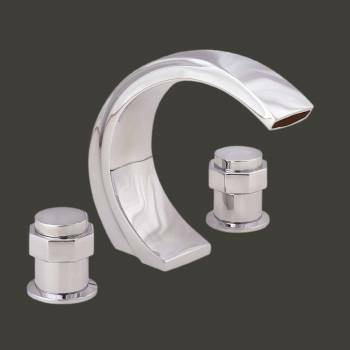 This three-piece tub faucet set measures 6 3/4" high with a 7 1/2" projection. Features ceramic washerless stem assembly. Chrome finish.